The Dash offense erupted for runs in each of the first five innings, bombarding the Sox by two touchdowns in a 14-0 rout on Thursday night at LewisGale Field. Andy Wilkins smashed solo shots in the first and the ninth, while Nick Ciolli also clobbered two homers, a leadoff jack in the second and a two-run bomb in the fifth. Winston scored six times in the third to open an eight-run lead, took a 12-zip lead after five, and put the cherry on top of the blowout sundae with a two-run ninth recorded off Salem second-baseman Zach Gentile, who took the mound for the first time in his professional career to absorb the Dash’s final punches. Jake Petricka dealt six scoreless innings for Winston, but the onslaught of offense overshadowed the superb pitching performance. The Dash capitalized on a shaky outing from Chris Hernandez, who departed after just two and a third innings in what was by far his shortest and poorest outing of his All-Star season. Out of the bullpen, Pete Ruiz also got drilled for six runs, although only two were charged as earned. Hernandez retired the first two batters of the game before allowing the first Wilkins round-tripper of the night, a solo shot that gave that Dash a modest 1-0 lead. Following Petricka’s seven-pitch, perfect first, Nick Ciolli smashed an opposite-field jack to make it 2-0 to lead off the second. Winston loaded the bases on two walks and a single, but Hernandez induced a pop-up from Juan Silverio to avoid further damage in the second. It turns out he only delayed the inevitable. After Wilkins’ screaming line-out to right field to begin the third, seven straight Dash batters reached, with six of them scoring. Four of the runs were charged to Hernandez, who was responsible for six runs (five earned) in his two and a third innings on the mound, while the others were accumulated off Ruiz. The Dash matched a season-high for hits in an inning with six, with Luis Sierra driving in two of his three RBI on the night in the frame. The Dash added two more on a trio of doubles against Ruiz in the fourth, then received Ciolli’s two-run bomb in the fifth, surging the visitors to a dozen-run advantage. Petricka and Leroy Hunt, who went the final three innings to earn the save, ensured that the football score would stand as a shutout. Salem managed just five hits, with two coming from Jorge Padron. In the top of the ninth, Gentile made his first appearance in a game since August 5. He walked Silverio on four pitches and fell behind Wilkins 2-0 before he finally threw a strike. Unfortunately, his first pitch in the zone landed approximately 400 foot away after Wilkins launched it deep beyond the right-field fence. After the homer, however, Gentile recorded three consecutive outs, inducing ground-outs from Ian Gac and Ciolli before Kevin Dubler popped to center. The final homestand of the season continues on Friday with a quasi-doubleheader against Wilmington. 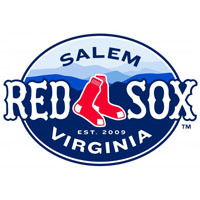 The Red Sox and Blue Rocks will resume the suspended game from July 8, with the Rocks leading 2-0 in the second inning. Thirty minutes after its conclusion, another seven-inning tilt will commence.